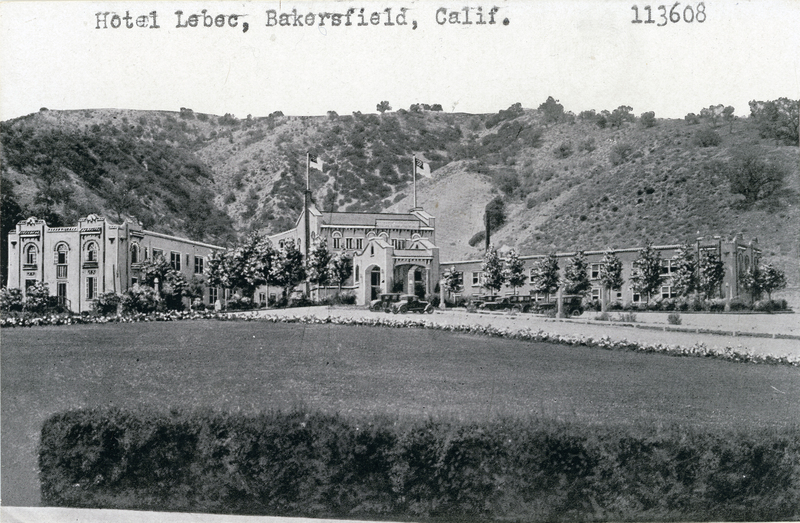 SCVHistory.com LW3243 | Ridge Route | Hotel Lebec, 1920s. Printed half-tone. It is real-photo postcard (RPPC) size, approx. 3.5x5 inches, but is not an RPPC; no printing on back. It might be a printed copy of an RPPC. The photographer was Garnet Pitchford of Palm Springs. According to the photo vendor, this item came from the estate of Pitchford's son, Bob, an architect. Thus it might be some sort of a printer's proof or sample card. LW3243: 9600 dpi jpeg from item purchased 2018 by Leon Worden.